Equally tilt trap left or right 30 degrees for curling targets. Compatible with Patriot, AT50 and AT250. I ordered the tilt base for my Patriot trap and it fit with no problem. The bracket is well made and all the hardware came with it.It took me about 20 minutes to install it. I tried this weekend for a fun shoot worked no problem. The only think I would like to see is hardware you can loosen with your hand's only instead of having to use tools. All in all a great addition. 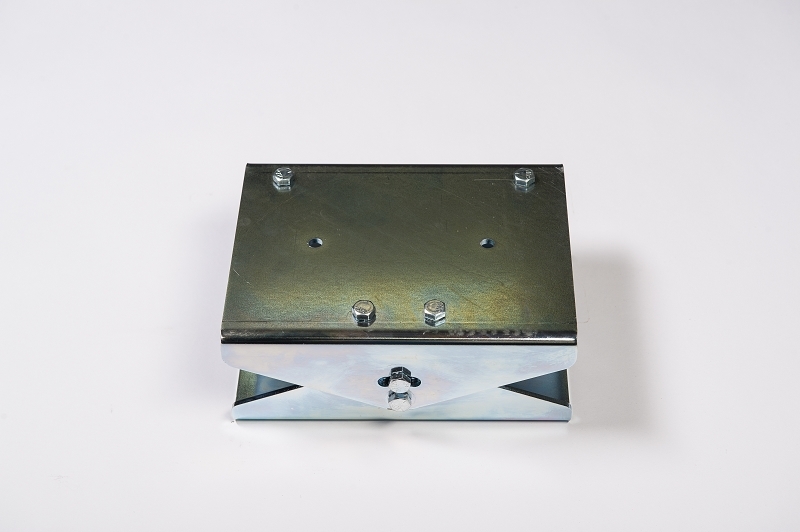 We have tilting bases installed on each of our AT-250 traps. They are rugged and made of the same high quality as the trap itself. We can easily adjust the base to have the target hook to the right of the left. Add a little breeze from Mother Nature and you have some challenging targets to shoot. Base is well worth the money! Ordered a tilting base last week and had a chance to try it out yesterday. Great addition to my Patriot. I mounted the tilting base to the trailer hitch platform, I now have the ability to move the machine on each axis so the truck doesn't have to move. Elevation, left/right and tilt are now all done easily providing plenty freedom of movement of the machine.